Hallelujah! There's music (Messiah, jazz), lights (Waterloo) and artful fun (Cambridge) on the to-do list this weekend in Waterloo Region and beyond. Get your art and music fix all in one at the Idea Exchange on Friday, with the opening of artist Libby Hague's show, Inventing Hope. The name of Hague's show comes from a quote from Don DeLillo's White Noise, a book in part about a rail chemical spill that sends toxic fumes into the air. The quote goes, "Out of some persistent sense of large-scale ruin, we kept inventing hope." Hague's show is an interactive installation, with wall sculptures and video projections, that explores how people can be become kinder and more empathetic. The opening also features performances by jazz singer Mary Catherine McNinch-Pazzano, and a talk by Hague. This is a pay-what-you-can event, with proceeds going to the YWCA's Mary's Place emergency shelter for women and families. Join the Renaissance Singers and Voices of Hope Choir, to sing along to Handel's Messiah. You can bring your own score or rent one when you get there. The bright and shining holiday tradition is back with plenty of sparkling lights to illuminate the darkest part of the year. 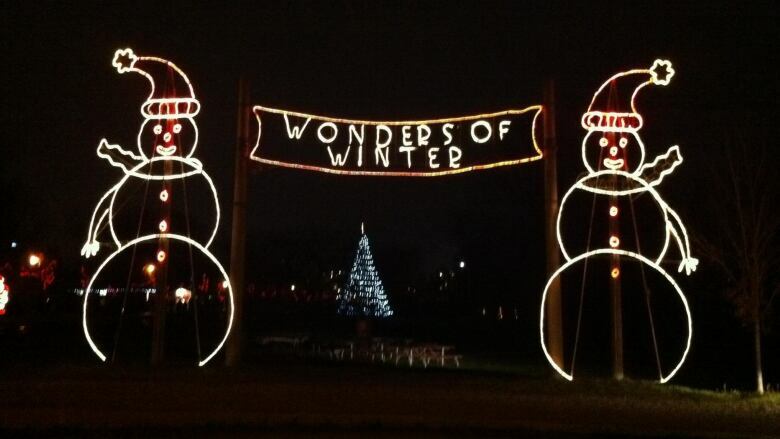 There will be more than 80 light displays with over 100,000 lights glowing in Waterloo Park. The opening night celebration gets underway at 5:30 p.m., but the lights will officially go on at 6:00 p.m. There will be horse-drawn trolley rides through the park that will tour the light displays too. Catch TM Jazz, headed by Tim Moher, in concert with special guests to benefit the Multiple Sclerosis Society of Canada. They'll be joined by Soul Sauce, JoJo Worthington, Jessie Treneer, Rob Grundy, Rebecca Binnendyk and Peter Shaw.